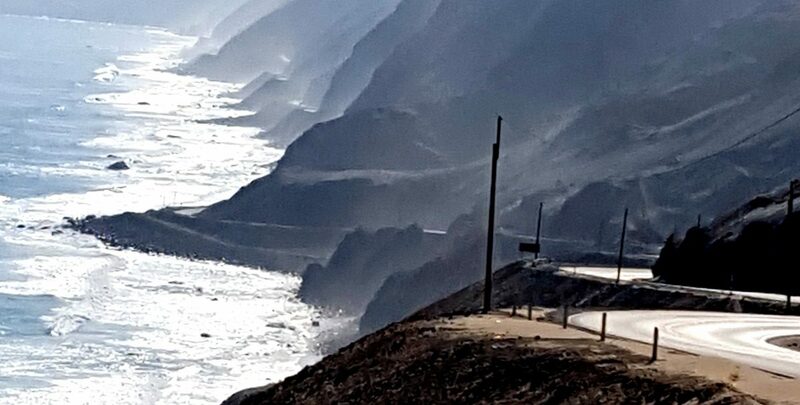 We traveled from Puerto Inka to Nazca via the Pan American Highway. In Nazca most of us signed up for an airplane tour over the Nazca Lines and Geoglyphs. Flying in third world countries makes me nervous. Puerto Inka is a small Resort near Chala, Peru. It has charm with upscale accommodations and a beautiful cove with a beach on the Pacific Ocean. It was a tranquil redoubt with the waves quietly washing up the beach. That was until Rodney irritated Rita. Our riding adventure began with a ride from Arequipa to Majes River Resort in the Colca Canyon. Mother Earth awaited us. 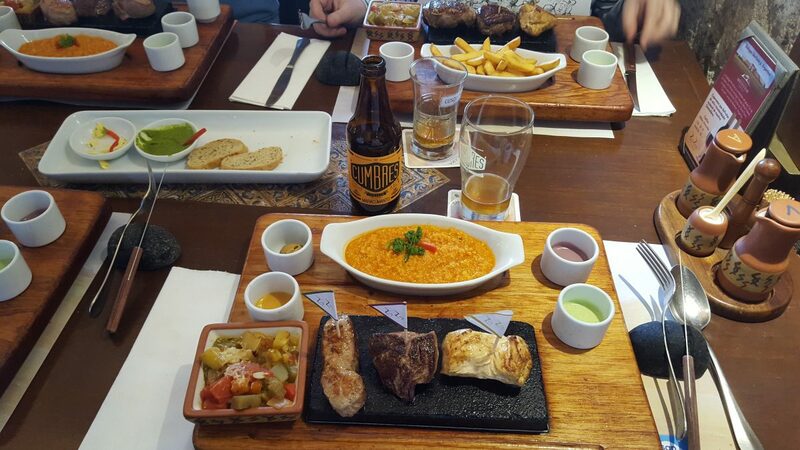 The national drink in Peru is the pisco sour which is sweet and sour. Like the drink, today was good and bad, but mostly good. The bad: I started showing signs of altitude sickness; headache and body aches. I’ve also been bit by black flies several times. The good: I had solutions for both problems. 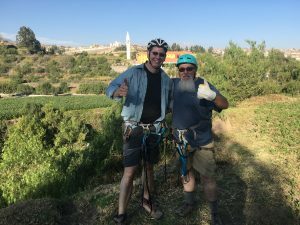 Below is a video of me riding the Arequipa zip line in Arequipa, Peru. It was part of the city bus tour we took our second day. 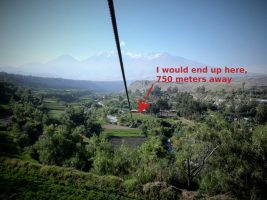 The first section is 750 meters long. The second is 250 meters long to get you back across the Rio Chili where you must hike back up to the original launch point. The hike, at a 7,500 foot elevation, was taxing for this old-over-weight guy. Although it was a struggle with a few stops for a breather, it felt good. Significantly, I had no signs of altitude sickness. 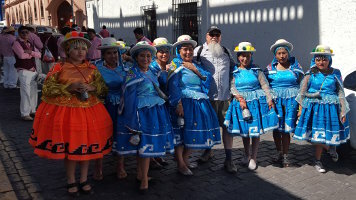 I attribute that to my steady diet of coca candy and frequently chewing a cud of coca leaves. Thanks to Slade and Dan (members of the Motoquest tour group) for letting me use their videos along with my own. In Lima, there was confusion regarding my checked bag. At LAX they said it was checked through to Arequipo. The Lima locals knew better. Had to check in again after customs and picking up my checked bag. Tri-cities and Portland airports: no problem. LAX: lots of problems. Few signs, ambiguous signs, lack of info in general and a “Charlie-foxtrot” getting to the international terminal and gate. Once at the gate, directions were contradictory and confusing. Several of us had to change lines more than once. I may have the unofficial record with five line changes today. On the last line-switch the guy in front of me (hidpanic) got into a heated argument with one of the attendants (also hispanic) regarding the confusion. I think she won because he and I changed lines again. Now checked into the Pasco Airport and headed to Peru. All is good and waiting for boarding. The only concern is that i can see my flight’s Alaska turbo jet sitting on the tarmac and they have one of the engine cowlings off. Two mechanics, who look a lot like Laural and Hardy, are nearby scratching their heads. That doesn’t bother me as much watching the flight crew board. I swear, it looked like the pilot had a pint bottle of Old Crow in one hand as the copilot and flight crew helped him onboard. I’m anticipating an interesting journey. ps: i was kidding about the Old Crow. I think it was actually a good brand of whiskey.